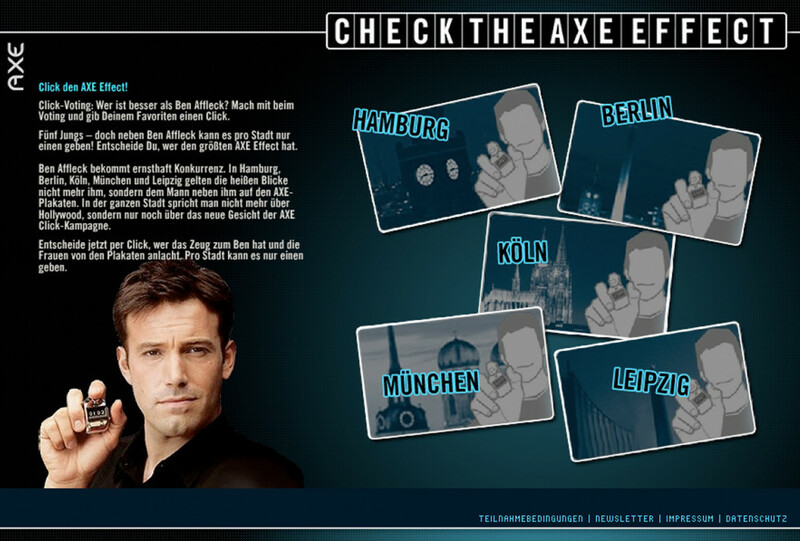 We were approached from the German Axe team to support the implementation of global ATL TVC campaigns into nationwide BTL activities. The set up of a workshop system where the client and the German BTL and PR team get fresh innovation impulses and an exchange with creatives to achieve common ground. Within two days the initial idea and road map of the BTL implementation was developed. 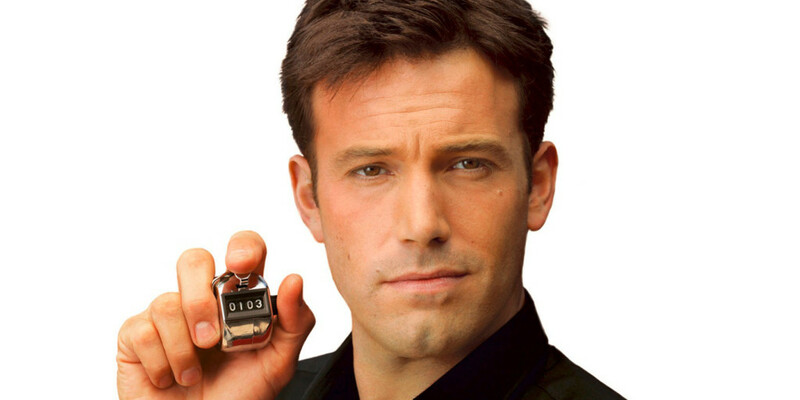 To take one example: The ATL launch of the "Clicker Campaign" with Ben Afleck (see images) was accompanied with a provocative print campaign, an interactive on=off experience and artist-co operations with i.e. 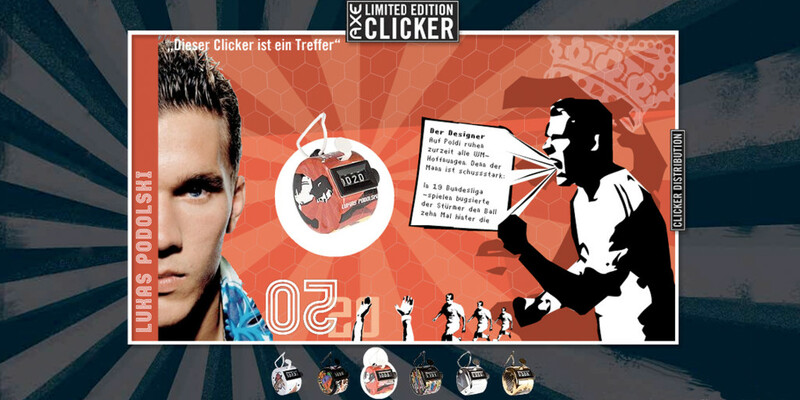 Lukas Podolski and Oliver Korritke to iconify the hero gadget of the campaign: the clicker.